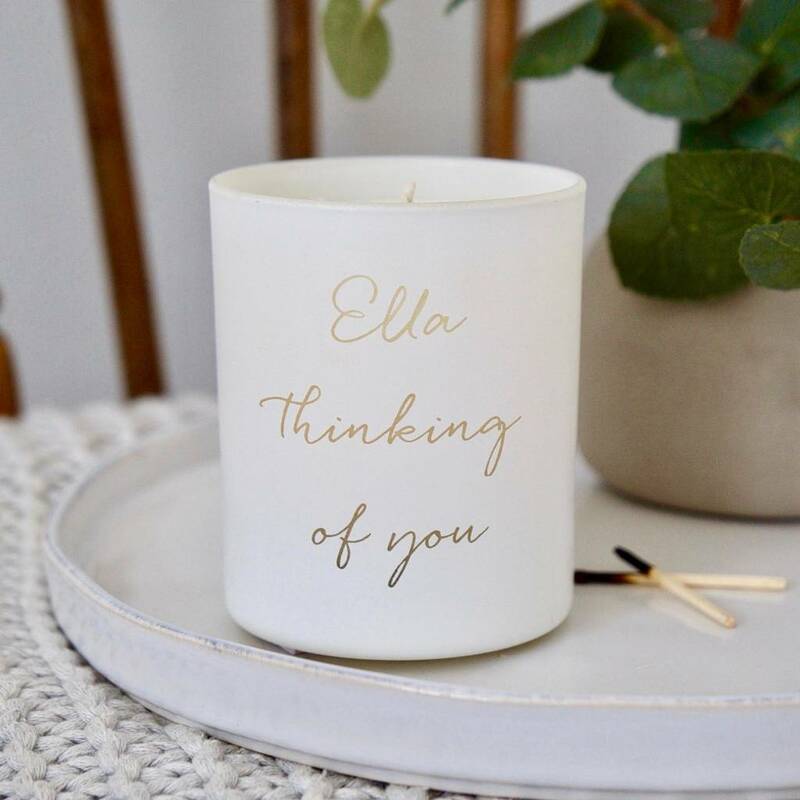 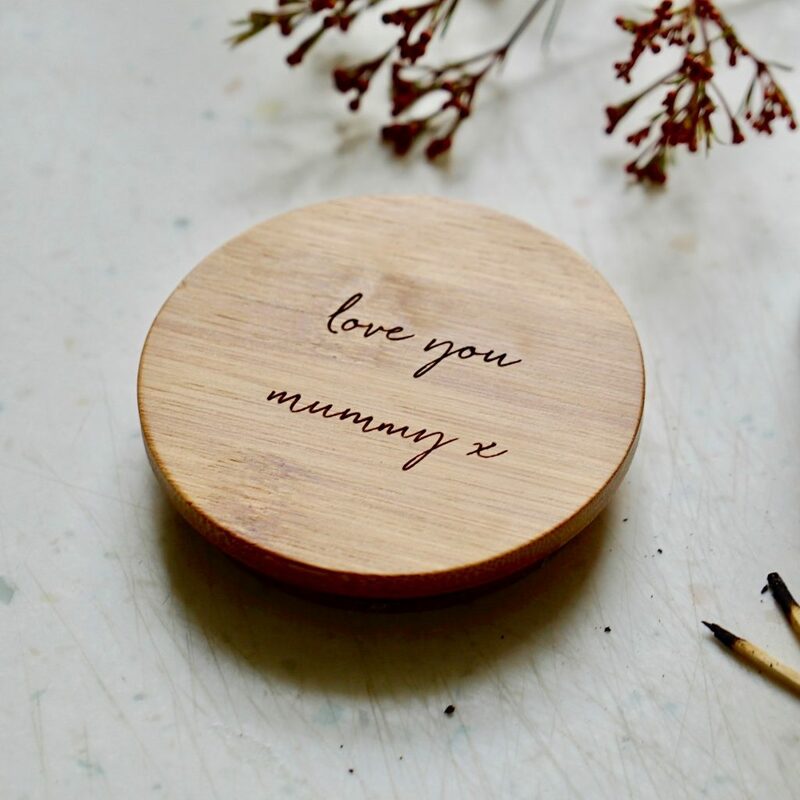 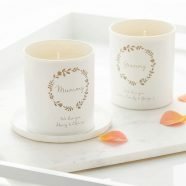 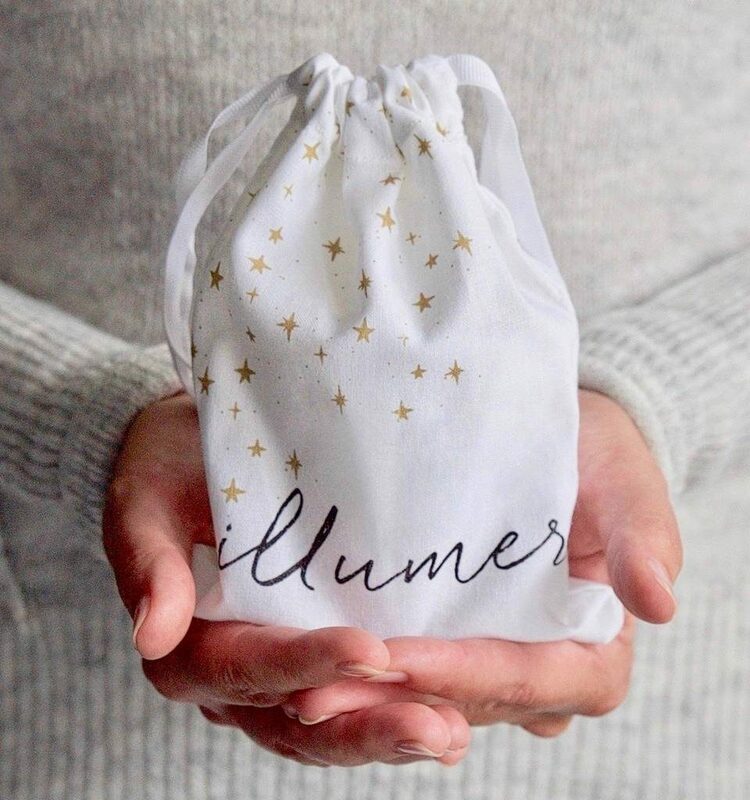 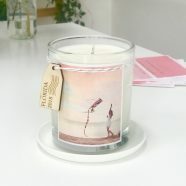 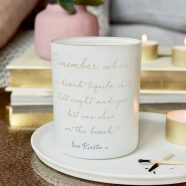 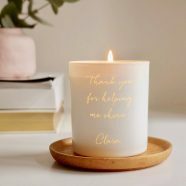 A thoughtful and sentimental gift, this beautifully scented, hand poured glass candle is engraved with the message ‘Thinking of you’. 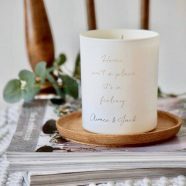 These lovely words will be softly illuminated by candlelight when lit. 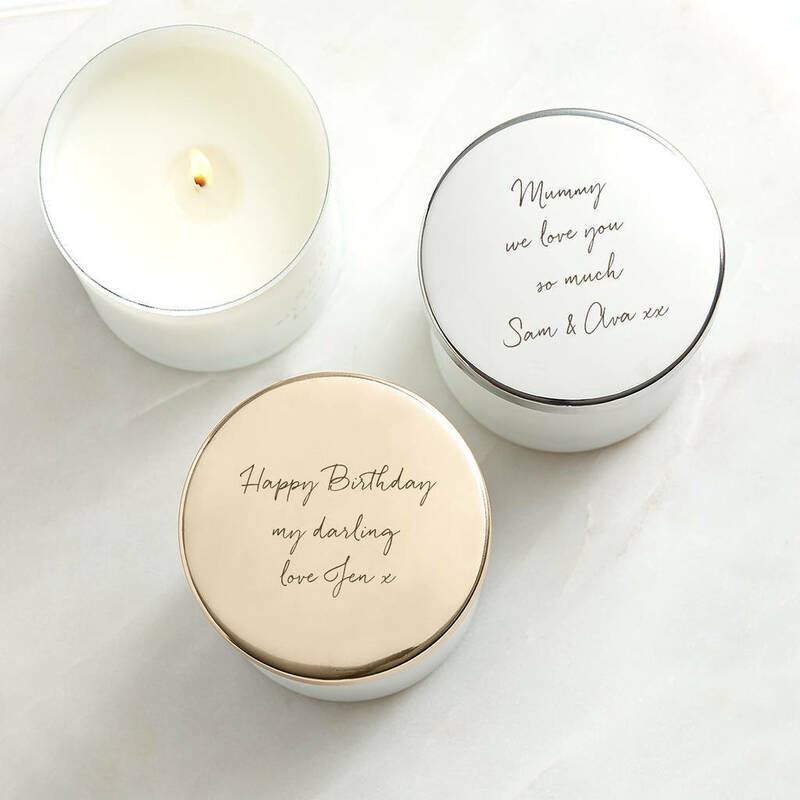 Our candles make great keepsakes too. Once your candle has burnt down you can simply place a tea light or flowers in the glass jar and continue to enjoy your chosen message.